When the 11th Doctor calls you, you answer, unless you want him to sing the whirring Doctor Who theme song on your answering machine. Tons of people, former Doctor’s included, have strong opinions about Jodie Whittaker’s casting as the first-ever lead female Time Lord on Doctor Who. The latest to weight in is Matt Smith, who played the 11th Doctor on the show. When a fan asked Smith and co-star Karen Gillan about their first “surreal media experiences” during a Boston Comic-Con panel earlier this week, Matt Smith thought of his initial casting in the role but immediately jumped into a more timely anecdote about what he did after hearing about Jodie Whittaker’s casting. Smith called Whittaker when he found out (ahead of the global announcement), but she didn’t answer. 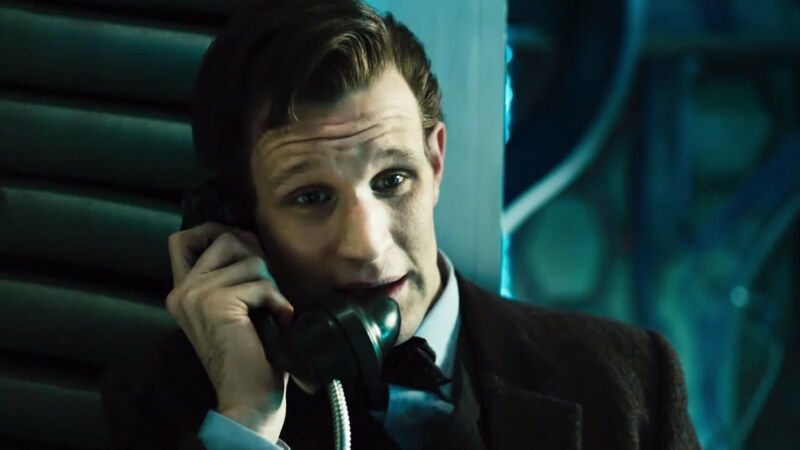 “So I just left a message,” he said, “just going: ‘duh-duh-duh-duh, duh-duh-duh-duh.’” Without even saying who was calling, Smith sang the iconic opening theme song of Doctor Who. In every sense of the word, the new Doctor is an alien, and we’ll have to wait until December 25 to get our first glimpse of Jodie Whittaker’s 13th Doctor in action on Doctor Who.